Shawn O’Kelley started his teaching career in Greenbrier, Arkansas, in 2001. Since 2004, he has been teaching in Owasso, Oklahoma. At Owasso, he teaches sixth grade flute and saxophone classes, eighth grade band, High School Symphonic Band 1, the Owasso Saxophone Ensemble and assists with the Pride of Owasso marching band. In 2007, O’Kelley was the recipient of the Phi Beta Mu Young Bandmaster Award for Oklahoma and conducted the Owasso Eighth Grade Symphonic Band at the Oklahoma Music Educators Association annual convention. 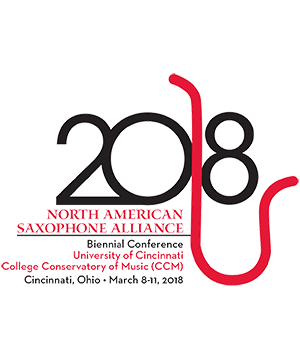 In 2016, the members of the Oklahoma State University and Owasso Saxophone Ensembles performed together at the North American Saxophone Alliance biennial convention at Texas Tech University. O’Kelley also enjoys teaching an active schedule of private saxophone lessons, and his students frequently earn positions in all-region and all-state bands. O’Kelley is a 2001 graduate of the University of Arkansas and a native of Farmington, Arkansas. The Great Plains Saxophone Collective is comprised of saxophone students and faculty from Owasso High School, Oklahoma State University, the University of Oklahoma, and Wichita State University. This ensemble has performed actively since 2014 at events such as the North American Saxophone Alliance Biennial Conference at Texas Tech University, the North American Saxophone Alliance Region IV Conferences at Oklahoma State University and the University of Oklahoma, the OSU Saxophone Summit, and the Great Plains Saxophone Workshop. The GPSC has premiered works by Dr. Igor Karača as well as multiple arrangements for large saxophone ensemble. Jeffrey Loeffert Soprano Saxophone Jeffrey Loeffert serves as Associate Professor of Saxophone at Oklahoma State University. Loeffert g . . .
Geoffrey Deibel Alto Saxophone A Washington, D.C. native, Geoffrey Deibel is emerging as an important voice for the saxophone and . . .